1.6 What Are “Safe” Oxygen Exposure Limits? Oxygen metabolism is the primary energy source in higher life forms, but when oxygen enters the metabolic process prematurely, reactive oxygen species can form which interfere with normal function and cause convulsions or other symptoms of oxygen toxicity. Immersion, exercise, and inspired carbon dioxide increase susceptibility to oxygen toxicity by elevating cerebral blood flow and oxygen delivery to the brain. The risk of toxicity is reduced by limiting oxygen exposure, but exposure limits are based on limited data. Limits for oxygen in mixed gas appear shorter than for pure oxygen. Open-water experience indicates that convulsions can occur near the accepted exposure limits. The risk of oxygen toxicity can be modelled statistically but with uncertain accuracy. The choice of “safe” exposure limits depends upon the risk of convulsions one is willing to accept. The maximum “safe” oxygen partial pressure for air or nitrox diving in the water appears to be in the range of 1.2-1.4 bar though some individuals set the limits as high as 1.6 bar. For pure oxygen, 1.6 bar has been used safely for in-water decompressions of up to 30 min. Knowledge of central nervous system (CNS) oxygen toxicity is unnecessary in order to breathe oxygen underwater safely at a partial pressure of one bar or less. Considerably more knowledge is needed at higher partial pressures or when the oxygen pressure changes with time. The real questions are; how much oxygen can be used safely given our current knowledge, and how can oxygen be used more effectively without sacrificing safety? Oxygen metabolism is the primary energy source in higher life forms. Because heat energy produced by oxygen reactions such as fire would damage tissue, metabolic pathways have evolved that safely capture small packets of reusable chemical energy. This energy is stored in molecules called adenosine triphosphate (ATP). Figure 1 illustrates some features of ATP production during the breakdown of sugar at normal oxygen partial pressures. The biochemical processes known as glycolysis use no oxygen and produce relatively little ATP. The major product of glycolysis, pyruvic acid, enters the Krebs cycle which releases carbon dioxide and supplies electrons needed to form ATP. Most ATP is produced in a series of electron transport reactions called the respiratory chain. Oxygen usually does not enter the respiratory chain until the very end where it reacts with hydrogen to form water. Should oxygen enter the respiratory chain prematurely, molecules like the superoxide anion (O2-) and hydrogen peroxide (H2O2) can form. These reactive species of oxygen are potentially toxic but are deactivated by protective enzymes such as superoxide dismutase and catalase. When the oxygen partial pressure is raised (Fig. 2), the production of reactive oxygen species increases and may overwhelm the protective mechanisms. This can initiate biochemical and physiological changes that interfere with normal function and cause signs and symptoms we know as oxygen toxicity. Convulsions are the most spectacular and objective signs and symptoms of CNS oxygen toxicity, but there is no evidence they lead to permanent damage if the oxygen exposure is discontinued promptly. This assumes, of course, that drowning or physical injury are avoided. Experimental oxygen exposures are often terminated by less specific symptoms including abnormal breathing, nausea, twitching, dizziness, incoordination, and visual or auditory disturbances. These symptoms do not necessarily precede convulsions. Factors which elevate cerebral blood flow, thereby augmenting oxygen delivery to the brain, appear to increase susceptibility to oxygen toxicity. These factors include immersion, exercise, and carbon dioxide. Carbon dioxide may be present in the inspired gas or may be retained due to inadequate ventilation. Inadequate ventilation can be caused by high gas density, external breathing resistance, or poor ventilatory response to carbon dioxide by “CO2 retainers” (Lanphier 1982; Warkander et al. 1990). Oxygen exposure limits like those of Fig. 3 were established to decrease the risk of convulsions for divers breathing pure oxygen or oxygen in mixed gas. Figure 3 shows three sets of pure oxygen limits and two sets of mixed gas limits. The U.S. Navy limits from the 1973 Diving Manual (USN 1973) were published in the 1979 NOAA Diving Manual (NOAA 1979). The Navy has since modified its pure oxygen limits (Butler and Thalmann 1986) while NOAA has modified both the pure oxygen and mixed gas limits for its 1991 Diving Manual (NOAA 1991). Compared with the 1973 Navy/1979 NOAA limits for pure oxygen, Fig. 3 shows that the 1986 Navy limits are less conservative while the 1991 NOAA limits are more conservative. For mixed gas, the 1991 NOAA limits are less conservative than the 1973 Navy/1979 NOAA limits. The changes to the exposure limits of Fig. 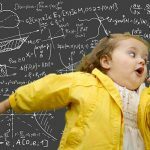 3 reflect uncertainty concerning which limits are best and suggest an examination of the type of data upon which oxygen limits are based. These data are shown in Fig. 4 and represent most of the CNS toxicity episodes that have occurred in U.S. experiments during wet, working dives at a single depth for pure oxygen or for oxygen in mixed gas (Lanphier and Dwyer 1954; Lanphier 1955; Piantadosi et al. 1979; Vann 1982; Schwartz 1984; Butler and Thalmann 1984, 1986; Butler 1986; Lanphier 1992). The squares represent convulsions, and the triangles represent symptoms. The 1991 NOAA limits are shown for comparison. While the discussion below is confined to U.S. data, Donald (1992) has recently published a large body of British data which will be very important. The mixed gas incidents occurred at lower oxygen partial pressures than the pure oxygen incidents. Lanphier, who conducted oxygen research for the Navy in the 1950’s, postulated that high breathing resistance during deeper mixed gas dives caused carbon dioxide retention which potentiated oxygen toxicity by increasing cerebral blood flow (Lanphier and Dwyer 1954). This led him to propose more restrictive limits for mixed gas than for pure oxygen. In subsequent studies, the lowest partial pressure and shortest exposure time at which a mixed gas convulsion occurred was 1.6 bar for 40 min (Vann 1982; Vann and Thalmann 1993). The corresponding exposure for pure oxygen was 1.76 bar for 72 min (Butler and Thalmann 1984). The mixed-gas convulsion occurred after 40 min at 100 fsw during a wet, working nitrox chamber dive with a 1.6 bar oxygen set-point in a rebreather (Vann 1982). Heavy exercise and high breathing resistance appeared to be contributing factors. Upon decreasing the breathing resistance and reducing the oxygen pressure to 1.4 bar, 110 dives were conducted with no further oxygen incidents during 60 min exposures at 100 and 150 fsw with both nitrox and heliox. Is an oxygen partial pressure of 1.4 bar sufficiently conservative given the potential for depth control error, the unpredictability of carbon dioxide retention, and the minimal mixed-gas exposure data? The Navy is leaning towards a set-point of 1.2-1.3 bar for rebreathers where the oxygen partial pressure fluctuates during control around a pre-determined set-point (Thalmann, personal communication). The data of Fig. 4 suggest a need for separate mixed gas and pure oxygen limits but are insufficient to conclusively prove this need. 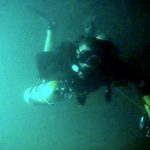 As a convulsion underwater is potentially fatal, however, a cautious diver might wish to use separate oxygen and mixed gas limits until further data firmly establish they are unnecessary. 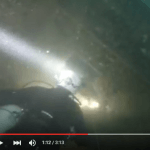 What can we learn about oxygen toxicity from open-water diving with mixed gas and pure oxygen? The incidents described below took place within the past year. A mixed gas fatality occurred in a southeastern U.S. cave where two divers breathed air for 15 min and EAN 40 (40% O2, balance N2) for 45 min at depths of 80-105 fsw (Menduno 1992). The oxygen partial pressure was mostly 1.4 bar but occasionally reached 1.5-1.7 bar. After 45 min of hard swimming on enriched air nitrox, one diver convulsed and lost his regulator. His buddy could not reinsert the regulator, and the diver drowned after a failed attempt to swim him out of the cave. The oxygen exposure was, for the most part, less than the 1991 NOAA limit of 1.6 bar for mixed gas diving. 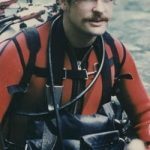 Another enriched air diver who drowned after an apparent convulsion had told friends that the NOAA limits did not apply to him (Menduno 1992). His oxygen partial pressure was estimated at 1.7-2.0 bar for a bottom time of 45-50 min. An incident involving pure oxygen occurred in a southeastern U.S. lake (Menduno 1992). After an 8 min exposure at 300 fsw on a trimix 14/33 (14% O2, 33% He, and 53% N2) a diver decompressed on EAN 32 to 20 fsw where he switched to pure oxygen. Prior to breathing oxygen at 20 fsw (1.6 bar PO2), his PO2 was 1.4 bar except for 7 min at 1.5-1.7 bar. After 20 min on oxygen, he unclipped from his decompression line to visit a nearby diver but drifted down to 35 fsw (2.05 bar PO2) and dozed off. (An Emergency Medical Technician, he had slept only 2 hrs the previous night.) 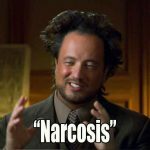 He was awakened by abnormal breathing and the onset of convulsions but inflated his buoyancy compensator before losing consciousness. He recovered from near drowning after rescue on the surface. It is commonly assumed that convulsions do not occur at oxygen pressures of less than about 1.6 bar, but this assumption depends on a normal seizure threshold. Figure 5 shows the depth-time profile of an 80 fsw dive that terminated with a convulsion at 34 min (Vann et al. 1992). 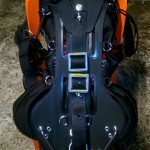 The diver breathed EAN 33 with an oxygen partial pressure of 1.26 bar. After rescue, he was found to have an unreported history of convulsions and to be on anti-convulsant medication. 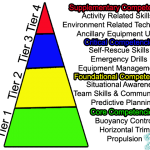 While such a situation is rare, it emphasizes the uncertainty of our knowledge, the need to expect emergencies such as oxygen convulsions or decompression illness, and the necessity for emergency management plans. Do these open-water incidents over emphasize rare events? What is the risk of a rare event? We can estimate this risk by statistical modeling of oxygen exposure data (Vann 1988). The risk of toxicity is specified by a separate function of X. Equation 1 defines a family of rectangular hyperbolas proposed empirically for the pressure-time relationship of pulmonary and CNS oxygen toxicity (Clark 1974). Statistical modelling derives this relationship theoretically and finds the constants c and k directly from experimental data (Vann 1988). This allows the risk of toxicity to be estimated for any oxygen exposure. Figure 6 shows three rectangular hyperbolas for 2%, 5%, and 8% risks of either symptoms or convulsions. These were estimated from data on 773 pure oxygen exposures. The convulsions, represented by black dots in Fig. 6, occurred at estimated risks of 2-8%. In a context of risk, an oxygen exposure limit is the depth and time at the level of risk which is judged to be acceptable. In Fig. 6, for example, the limit for a pure oxygen exposure at 25 fsw (1.76 bar) would be 49 min if a 2% risk of either symptoms or convulsions were judged acceptable. 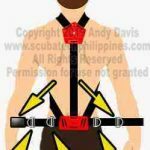 The level of acceptable risk for a chamber dive where immediate rescue is possible after a convulsion is greater than for an open-water dive where drowning is the likely outcome. Statistical modeling can track the resolution of risk as well as its development. In Fig. 7, for example, a pure oxygen diver spends 120 min at 20 fsw, 15 min at 40 fsw, and 105 min at 20 fsw. His risk increases gradually to 0.2% while at 20 fsw and rapidly to 4.1% at 40 fsw. The maximum risk of 4.3% occurs just before surfacing after which the risk resolves in 10 min. Unfortunately, the accuracy of the risk estimates of Figs. 6 and 7 is uncertain because human oxygen exposure data are limited and their results variable (Donald 1992; Clark 1993). This uncertainty encourages conservative exposure limits, at present, instead of permitting the oxygen exposure to be adjusted continuously such that the estimated risk never exceeds the risk judged to be acceptable. For mixed gas, even less data are available than for pure oxygen, and the potential for carbon dioxide retention introduces further uncertainty which makes modeling of mixed gas risk even more problematic. What Are “Safe” Oxygen Exposure Limits? The choice of “safe” oxygen exposure limits depends upon the risk of convulsions that one is willing to accept. This subjective judgment is rendered all the more difficult because so few data are available from which to estimate risk and because there is so much variability in the response to oxygen exposure. Variability can be due to exercise, carbon dioxide retention, gas analysis error, oxygen set-point control, and susceptibility to oxygen toxicity from inter- and intra-individual differences. For air or enriched air diving, a maximum exposure limit of 1.2 bar would appear to be conservative while allowing a “cushion” for oxygen partial pressure increases due to unplanned depth excursions. Perhaps 1.4 bar would be acceptable if depth could be carefully controlled. On the other hand, there are those who testify to diving safely at 1.6 bar. This may well be true, but skepticism is appropriate until these divers document their claims in the form of computer-recorded depth-time profiles with certified breathing mixtures (Fig. 5). Denoble et al. (1993) describe a project and data acquisition software which might help to provide such documentation. For pure oxygen, commercial (Imbert and Bontoux 1987) and scientific experience (Fife et al. 1992) suggests that at least 30 min of in-water oxygen decompression may be possible at 1.61 bar (20 fsw) with little risk of CNS toxicity. Experimental data (Fig. 4) also suggest a low risk at 1.76 bar (25 fsw), but a small depth excursion can cause large increases in oxygen pressure. 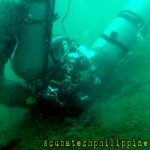 Pure oxygen diving at depths below 20 fsw is more hazardous. Improvements in our ability to manage oxygen exposure are expected as basic studies illuminate the fundamental biochemistry and physiology, as additional exposure data become available, and as statistical modeling methods develop. Basic studies have already led to pharmacological methods for extending oxygen exposure in mice (Oury et al. 1992), but further work is needed before such methods are applied to humans. 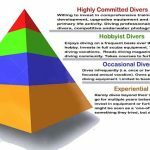 The diving community itself can provide some of the necessary exposure data should it adopt a rigorous approach to data collection. Statistical modeling and computer tracking of oxygen exposure may eventually lead to guidelines for variable oxygen partial pressures to supplement single stage oxygen limits (Fig. 3). A particularly important advance that might eliminate much of the current unpredictability would be a mouthpiece sensor for measuring end-inspired and end-expired carbon dioxide. In the meantime, a patient and conservative approach to oxygen exposure management is appropriate to minimize the frequency of mishaps such as those of the past year. Butler F K Jr., Thalmann E D 1984. CNS oxygen toxicity in closed-circuit scuba divers. In: Underwater Physiology VIII. Eds. A.J. Bachrach and M.M. Matzen. UMS, Inc., Bethesda. Butler F K Jr., and Thalmann E D 1986. CNS oxygen toxicity in closed-circuit scuba divers. II. Undersea Biomed. Res. 13(2): 193-223. Clark J M 1974. The toxicity of oxygen. Am. Rev. Resp. 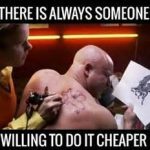 Dis. 110:40-50. Clark J M 1993. Oxygen toxicity. In: The physiology and medicine of diving, 4th edn., pp. 121-169. Ed. P.B. Bennett and D.H.Elliott. London: W.B. Saunders. Denoble P, Dear G deL, Vann R D 1993. The epidemiology of decompression illness: a data collection project. Durham, NC; Divers Alert Network. Version 1.01. Donald K 1992. Oxygen and the Diver. The SPA Ltd. Worcs. Fife C E, Pollard G W, Mebane G Y , Boso A E, Vann R D 1992. 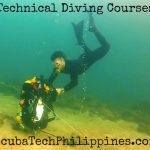 A database of open water, compressed air, multi-day repetitive dives to depths between 100 and 190 fsw. In: Proceedings of repetitive diving workshop. M.A. Lang and R.D. Vann (eds.). American Academy of Underwater Sciences. AAUSDSP-RDW-02-92. Pp. 45-54. Imbert J P, Bontoux M. 1987. Production of procedures: COMEX. 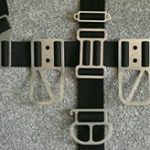 In: Decompression in surface-based diving. Eds. I. Nashimoto and E.H. Lanphier. 36th UHMS Workshop. Pub. No. 73(DEC)6/15/87. Pp. 90-100. Lanphier E H, Dwyer J V 1954. 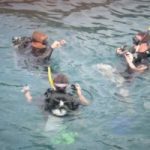 Diving with self-contained underwater breathing apparatus. NEDU Report 11-54. Lanphier E H 1955. Nitrogen-oxygen mixture physiology. Phases 1 and 2. NEDU Report 7-55. Lanphier E H (Editor). 1982. 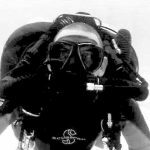 The unconscious diver: respiratory control and other contributing factors. Undersea Medical Society Publication Number 52WS (RC) 1-25-82. Lanphier E H 1992. The story of CO2 build-up. aquaCorps J. 3(1): 67-69. Menduno M 1992. 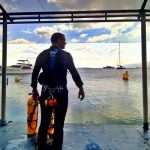 Safety first: an analysis of recent diving accidents. 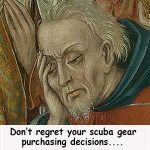 Technical Diver. 3(2): 2-10. NOAA 1979. NOAA Diving Manual 1979, 2nd edn. U.S. Department of Commerce, December 1979. NOAA 1991. 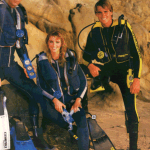 NOAA Diving Manual 1991, 3nd edn. U.S. Department of Commerce, October 1991. Oury T D, Ho Y S, Piantadosi C A, Crapo J D 1992. Extracellular superoxide dismutase, nitric oxide, and central nervous system O2 toxicity. Proc. Nat. Acad. Sci. 89: 9715-9719. Piantadosi C A, Clinton R L, Thalmann E D 1979. Prolonged oxygen exposures in immersed exercising divers at 25 fsw (1.76 ATA). Undersea Biomed. Res. 6: 347-356. Schwartz H J C 1984. Manned testing of two closed-circuit underwater breathing apparatus: U.S. Navy Emerson rig and Fenzy PO.68. NEDU Report 13-84. USN 1973. U.S. Navy Diving Manual, Change 1, Tables 9-20 and 13-1. Vann R D 1982. 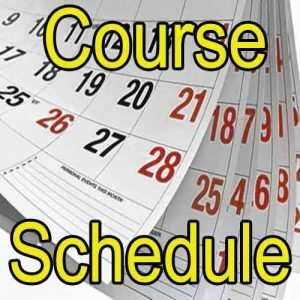 MK XV UBA Decompression trials at Duke: A summary report. Final Report on Office of Naval Research Contract N00014-77-C-0406. Vann R D 1988. Oxygen toxicity risk assessment. Final Report on ONR Contract N00014-87-C-0283. Vann R D, Gerth W A, Southerland D G, Stanton G R, Pollock N, Kepper W, Heinmiller P. 1992. No-stop repetitive N2/O2 diving with Surface Interval O2 (SIO2): Phase II. Undersea Biomed. Res. 19(Suppl. ): 80. Vann R D and Thalmann E D 1993. 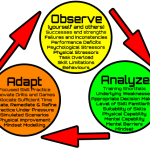 Decompression physiology and practice. In: The Physiology and medicine of Diving, 4th edn., pp. 376-432. Ed. P.B. Bennett and D.H. Elliott. London: W.B. Saunders. Warkander D E, Norfleet W T, Nagasawa G K, Lundgren C E G. 1990. 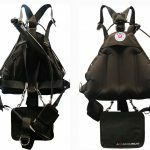 CO2 retention with minimal symptoms but severe dysfunction during wet simulated dives to 6.8 atm abs. Undersea Biomed. Res. 17(6): 515-523. 1. The production of ATP during the breakdown of sugar at normal (normoxic) oxygen partial pressures. 2. The production of ATP and reactive oxygen species during the breakdown of sugar at elevated (hyperoxic) oxygen partial pressures. 3. Oxygen exposure limits for pure oxygen and for oxygen in mixed gas as published by NOAA and the U.S. Navy. The 1973 U.S. Navy limits (USN 1973) were adopted for the 1979 NOAA Diving Manual (NOAA 1979). These are indicated as USN/NOAA 1979. The Navy revised its pure oxygen limits in 1986 (Butler and Thalmann 1986). NOAA revised its pure oxygen and mixed gas limits in 1991 (NOAA 1991). Exposure times and pressures are connected by line segments to facilitate comparisons. Field application requires step changes at the indicated points. The original references should be consulted for operational use. 4. CNS oxygen toxicity data (convulsions and symptoms) from U.S. experiments with wet, working divers exposed to constant oxygen partial pressures (Lanphier and Dwyer 1954; Lanphier 1955; Piantadosi et al. 1979; Vann 1982; Schwartz 1984; Butler and Thalmann 1984, 1986; Butler 1986; Lanphier 1992). The 1991 NOAA exposure limits for pure oxygen and mixed gas are shown for comparison (NOAA 1991). 5. The depth-time profile recorded by a dive computer for an exposure on 32.8% nitrox at a nominal depth of 80 fsw and oxygen partial pressure of 1.26 bar. The dive was terminated at 34 min by a convulsion. 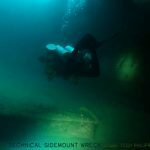 After rescue, the diver was found to have an unreported history of convulsions and to be on anti-convulsant medication. 6. Estimates of CNS oxygen toxicity risk based upon a statistical model (Vann 1988). The model was fitted to experimental data from 773 pure oxygen exposures which resulted in 11 convulsions and 33 incidents of symptoms. Exposures for estimated risks of 2, 5, and 8% are shown with the observed convulsions. 7. The development and resolution of CNS oxygen toxicity risk according to the model of Fig. 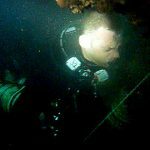 6 during a multi-level dive on pure oxygen.